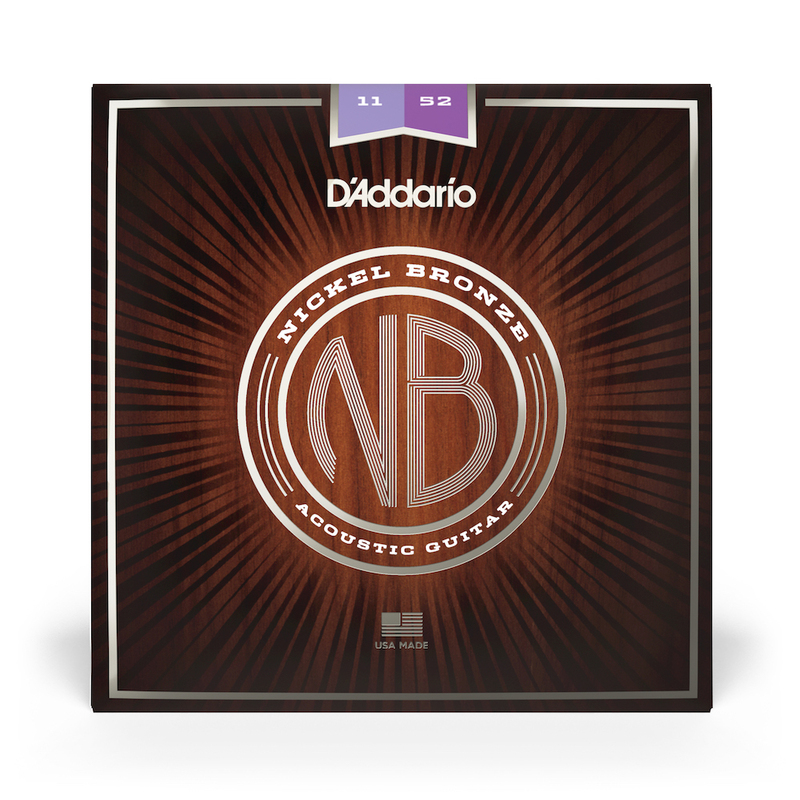 Introducing the all new for 2016 D'Addario Nickel Bronze Acoustic Guitar Strings! These premium strings add color and highlight the guitar's natural character, allowing the guitars natural born frequencies to amplify. All this plus the use of D’Addario’s proprietary NY Steel core will give you balance and stability. Turns out I restrung my guitar with these strings at a time where its hard to evaluate tone. We are going through a period of high humidity up here in Vermont where I cant seem to get my case humidity down below 60% rh. Ive found my Santa Cruz Om sounds it very best at around 45%. I do however like the string feel of these nickel bronze.